Pookie puppet | That Belongs in a Museum! This is Pookie the lion…this was a character on the Soupy Sales Show, and this is a nearly identical replica of Pookie that my mother made for me, and this is White Fang, which she also made. 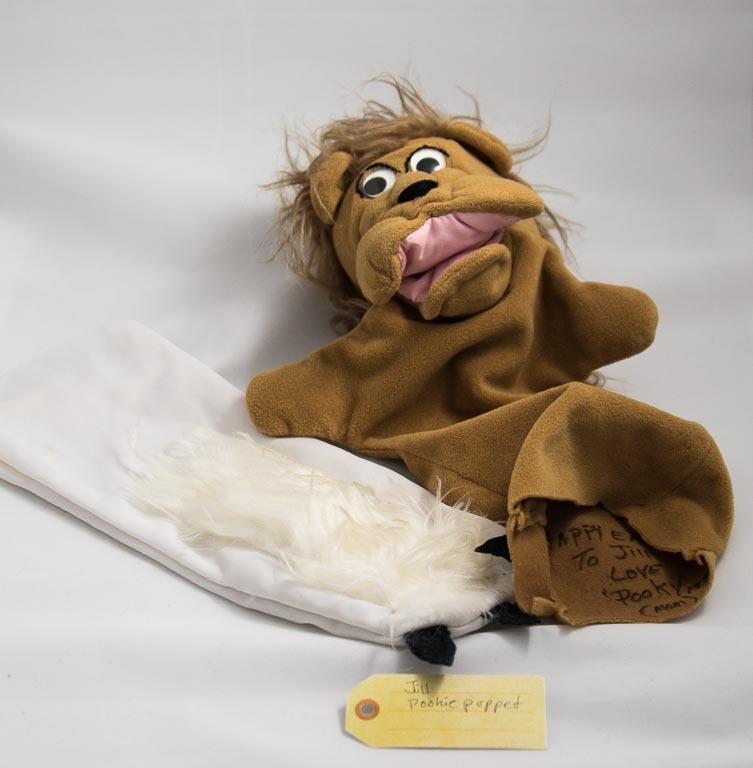 …Kind of Kukla, Fran and Ollie, a little bit Studs Terkel…Soupy Sales lived in a house on the set, wore a big bow tie and a red sweater…and he would be visited and tormented by puppets like this–Pookie and White Fang–who were rivals and friends.